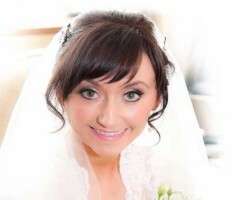 Brilliant and award winning wedding makeup artist in Belfast, Ashley Morhej, offers professional bridal makeup to brides in Northern Ireland. Every bride should gift herself with a professional makeup application from Kerry Moore, a top Northern Ireland makeup artist. Bridal Beauty is an award winning team of qualified and professional hair stylists with years of experience in bridal hair and make-up. Wedding day beauty is a passion at Bridal Beauty. 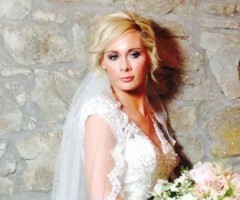 They take great joy in making brides in Northern Ireland look absolutely spectacular. Whether you desire a natural or creative bridal look, professional freelance makeup artist and airbrush technician, Paula Hayes, will give you the very best. 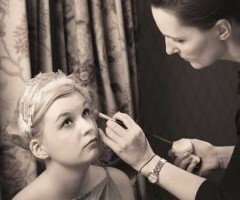 Beauty by K J Shields is a professional but personal service dedicated to giving brides a first class make-up treatment, covering all of Northern Ireland.